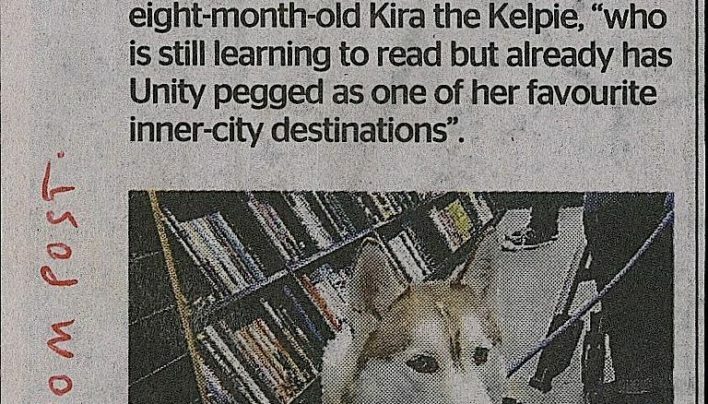 Th first of our #dogsofunity instagram posts made it in to the Dominion Post. 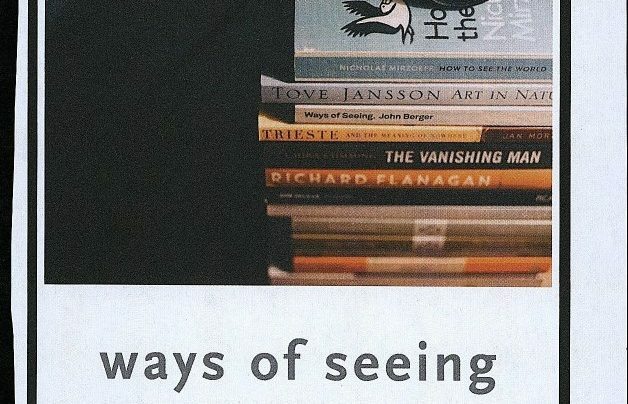 Our advertisement in the May 2017 issue of Capital features the book-pile of John Duke. 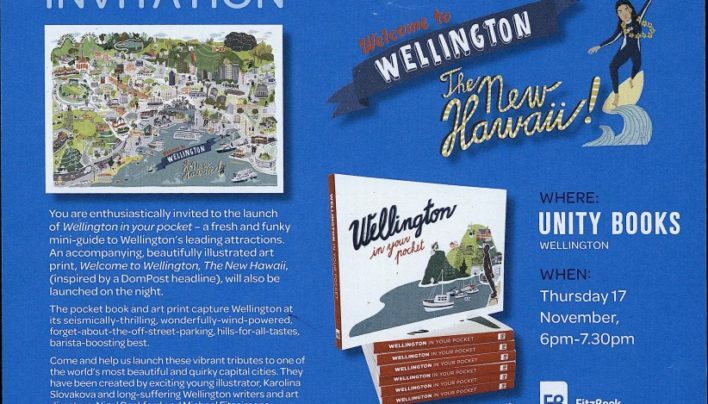 An invitation to the launch of Wellington In Your Pocket by Karolina Slovakova, Nigel Beckford & Michael Fitzsimons (Fitzbeck Creative). 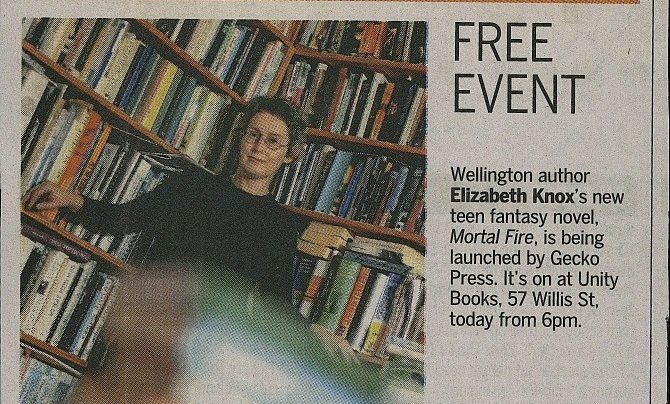 Capital Times published this notice about the launch of Mortal Fire by Elizabeth Knox (Gecko Press). 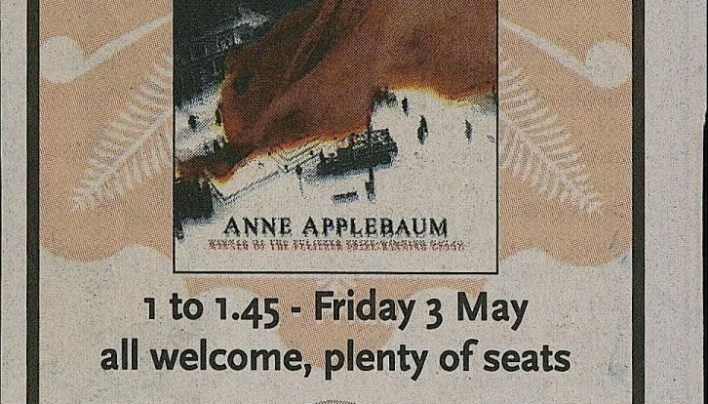 An advertisement for a lunchtime lecture and reading by Anne Applebaum, from her new book Iron Curtain: the Crushing of Eastern Europe 1944-56 (Allen Lane). 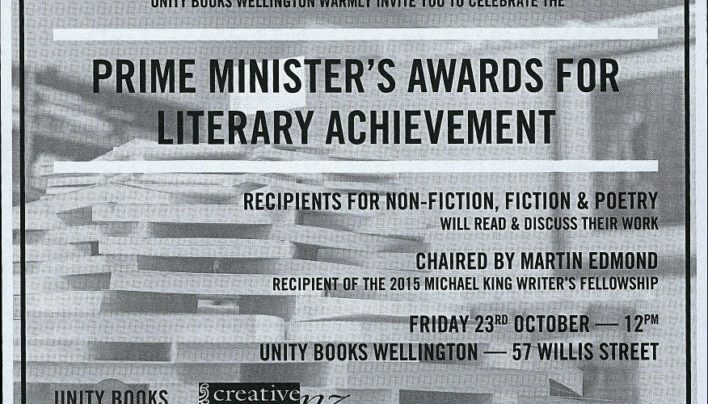 Our advertisement featuring the locations of our “satellite shops” for Writers and Readers Week 2012. 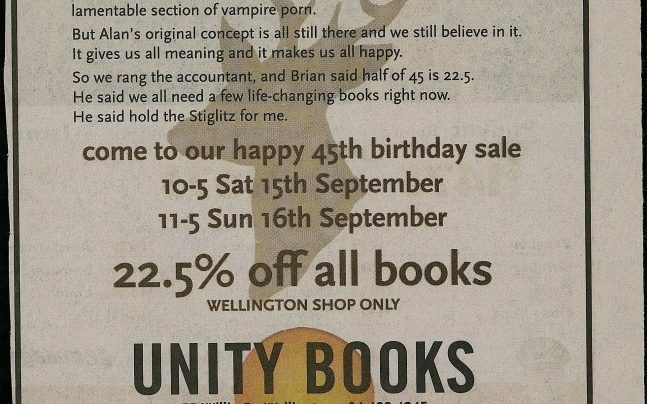 An advertisement for a sale to celebrate the 45th Birthday of Unity Books. 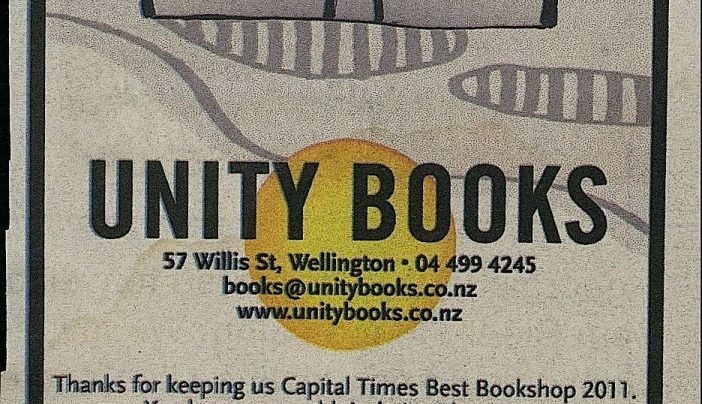 This advertisement in the Capital Times thanks its readers for continually rating Unity Books the Best Bookshop in Wellington.